Indian students at the University of Dundee led one of the biggest Holi celebrations ever to take place at a Scottish University. More than 300 students, staff and members of the public took part, and was the largest event of its kind to be held in Dundee. 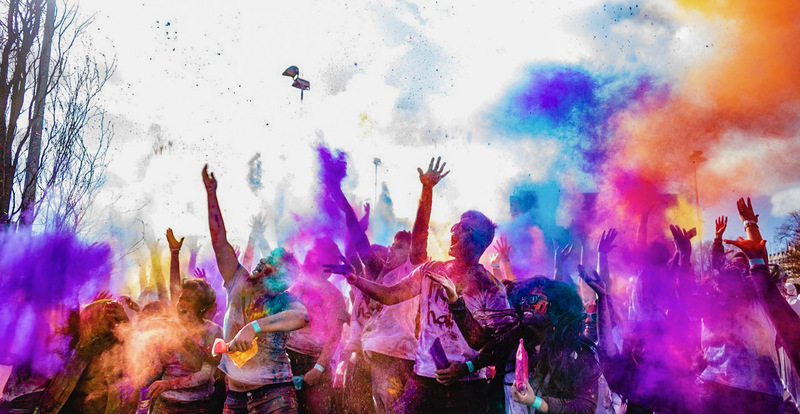 Holi usually takes place later in March in India, however, in order to fully celebrate their festival ahead of exams, the students planned to host the event earlier. Nitya Nair, a second-year Medicine student originally from Kerala in the south of India, said, “Holi makes me feel way more at home here. It gave me such a great sense of comfort when I first came to Scotland to see that students still celebrate it here. Holi which signifies the triumph of good over evil, co-relating with the passing of winter and it promotes inclusion and togetherness between people of all backgrounds. Eventually, everyone begins to appear as one, all part of this vibrant spectrum of colour. The University already enjoys a strong relationship with India, with more than a hundred students currently studying there. Whereas HDFC Home loans in association with Indians in London and ICICI had organised Rang Barse 2019 where Deputy Mayor of London Shri Rajesh Agarwal, along with Ms Anima Barnwal from High Commission of India and Shri Virendra Sharma MP were present. Indians in London is a Not for Profit Community Group and the group was originally formed on a social networking website Orkut in 2004 and later in 2012 transitioned on to current platform on Facebook . The event like every year had cultural performances by children and group members with light refreshments, where they played with organic colours on the Dhol beats .